We’ve barely gotten over the last round of Nintendo Switch rumors, but a new batch has just arrived, hot off the presses. Multiple sources have said to Eurogamer that the console’s virtual console will include support for GameCube games, with Super Smash Bros Melee, Super Mario Sunshine, and Luigi’s Mansion 'confirmed' as working, and Animal Crossing apparently next on the list. However the news opens the doors to other classic games such as Resident Evil 4, Metal Gear Solid: Twin Snakes, and Mario Party 4 potentially appearing on the service. Nintendo’s virtual console has been around since the Wii, and allows players to download and play older games from Nintendo Consoles that have since been discontinued. 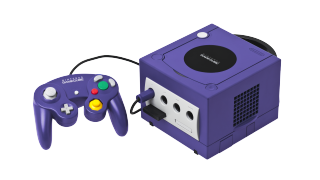 In the past the most recent Nintendo console supported was the Nintendo 64, making the GameCube’s appearance a first for the service. According to Eurogamer, porting duties are being handled by Nintendo European Research and Development (NERD), which is the team that also produced the excellent NES Mini and provided an excellent emulated experience. With NERD behind the wheel, we're quietly confident that this might end up being a great way to revisit some old classics. Check out everything else we know about the Nintendo Switch's release date and features.